This edition includes two new contributed chapters: Professor Julie McLeod, Sue Childs and Elizabeth Lomas focus on research data management, applying evidence from the recent JISC funded "DATUM" roject; Dr Andrew Shenton examines strategies for analysing existing documents. 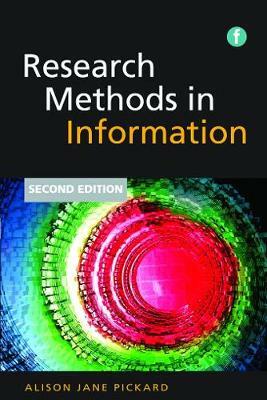 The first to focus entirely on the needs of the information and communications community, this handbook guides the would-be researcher through the variety of possibilities open to them under the heading research and provides students with the confidence to embark on their dissertations. The focus here is on the doing and although the philosophy and theory of research is explored to provide context, this is essentially a practical exploration of the whole research process with each chapter fully supported by examples and exercises tried and tested over a whole teaching career.